As cigarette smoking declines in popularity, vaping and bulk vape juice consumption seems to be skyrocketing. Unlike cigarette smoking, vaping doesn't leave a nasty odor and isn't as disrespectful to the people nearby you. However, this doesn't mean that vaping can't be obnoxious, irritating or impolite. In fact, there are many people who vape who seem to ignore etiquette rules and the basic protocols of polite society. It's possible to enjoy vaping while still being polite, courteous and respectful. Here's a guide on how to vape politely. If you're in an enclosed area, you should always be considerate and ask people in your vicinity if they're okay with you vaping. If someone says "no," that they aren't alright with it, then you should respect their wishes and vape elsewhere. Even though vaping is odorless, some people dislike the visual of big vape clouds. Don't try to argue with people who don't want to be around your vaping. There are scores of people in this world, especially older people, who don't really understand what vaping even is. Don't be impatient or rude to people who are confused and think that you're smoking or using illicit drugs. Instead, patiently and politely explain to them what it is that you're doing. In some cities, vaping in a bar or restaurant is perfectly acceptable, while other cities have strict rules against it. Always ask if you're not sure whether or not you can vape in a bar or cafe. You don't want to be the vape enthusiast who's vaping in a place where they're not supposed to vape. 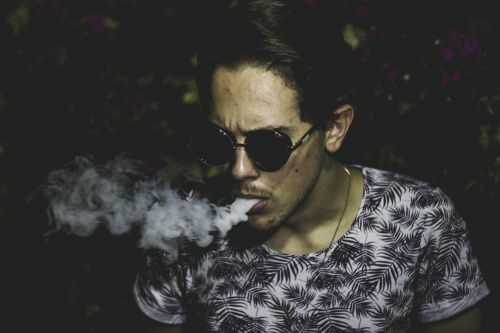 It's possible to enjoy vaping without being rude if you follow these simple etiquette tips.